The Aussie Dollar fell against all the majors yesterday. At one stage it was 1.7% down against the USD, at a two week low, but recovered to close just 0.4% lower. The lower dollar is driving up the pricing of everything including training mats. The price of both EVA interlocking jigsaw mats and tatami mats could rise in the future. Currently pricing for jigsaw mats and tatami mats is steady due to suppliers like Ezy Mats weathering the lower currency. Such diligence has keep the price of gym mats and MMA mats steady. 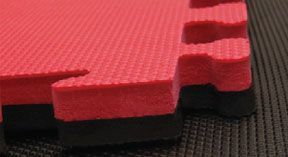 The price of jigsaw mats and tatami mats are still price well with Ezymats supplying the mats at up to 50% less then other suppliers.